The oak has a long and fascinating history. For millennia, oak has been a symbol of strength and power – in the Greek mythology, for example, the tree was dedicated to Zeus, the king of gods. The Romans likewise sanctified the tree to Jupiter. The oak’s scientific name, Quercus, actually derives from Roman times. In the Nordics, in turn, the oak was consecrated to Thor, the god of thunder. It is no wonder that the oak leaf has become a symbol of victory, still used in wreaths and military honors. Oak’s robust appearance and its long lifespan, sometimes lasting over a thousand years, have earned the tree regard as the king of trees. Oak wood is strong, hard and dense. 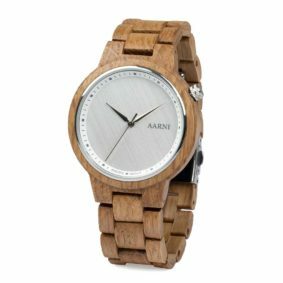 That’s why it is the perfect material for your wooden wrist watch. At the same time, the broad vascular rays of the wood will bring an elegant pattern into the brown colors of oak. Vascular rays are horizontal tubes whose function within the tree is to carry nutrients from the core of the tree to the surface wood and vice versa. 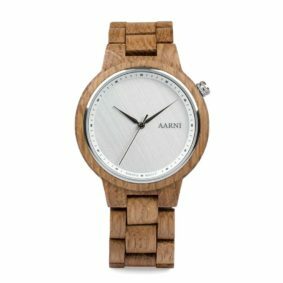 If you look closely, you can also observe oak’s large pores in your wooden watch’s bracelet.